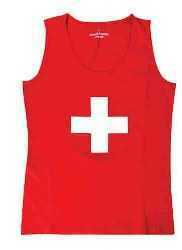 Womens fitted tank top with Swiss Cross. 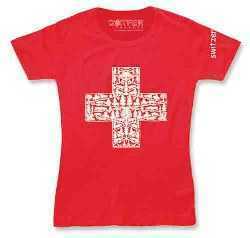 Womens fitted T-shirt with a Swiss paper cutting Swiss Cross design. Put a little smile in your life! 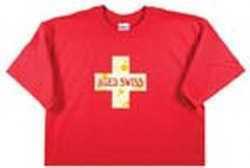 Only our customers wear “Aged Swiss” in a cheesy Swiss Cross T-shirts. 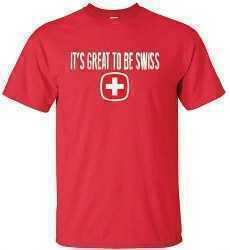 Swiss Cross with “It’s Great to be Swiss” Crew neck short sleeve T-shirt. 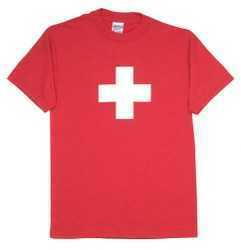 Show your nationality with this red T-shirt with Swiss Cross. 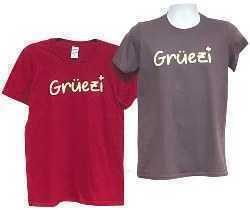 50%cotton/50% Poly short-sleeved T-Shirt in Gray or Heathered Red. Order by color: Heathered Red or Gray.